Creator and Executive Producer Guillermo Del Toro, who co-authored the Trollhunters novel with Daniel Kraus, has announced the cast for his upcoming Trollhunters TV show on Netflix. Kelsey Grammer, Ron Perlman, and Anton Yelchin are set to star in the fantasy drama. The show is slated for a December 2016 premiere. Trollhunters is produced by DreamWorks Animation for Netflix. Guillermo del Toro, Marc Guggenheim, and Christina Steinberg are executive producing. Dan Hageman and Kevin Hageman are co-executive producers. Chad Hammes is producing. Get the details from this Netflix press release. ANNECY, France, June 15, 2016 – Creator and executive producer Guillermo del Toro has announced initial casting on Trollhunters, his epic family event series premiering in December 2016 on Netflix. The announcement was made today at the Annecy Animation Festival in Annecy, France during a career retrospective discussion with del Toro. Trollhunters will premiere on Netflix in December 2016. DreamWorks Animation (Nasdaq: DWA) is a global family entertainment company with business interests that span feature film and television production; licensing and consumer products; location-based entertainment; and new media properties, including the Company’s controlling interest in AwesomenessTV. The Company’s feature film heritage includes many of the world’s most-beloved characters and franchises, including Shrek, Madagascar, Kung Fu Panda and How to Train Your Dragon, while its 32 feature film releases have amassed more than $13 billion in global box office receipts. DWA’s television business has quickly become one of the world’s leading suppliers of high-quality family programming, reaching consumers on linear and on-demand platforms in more than 130 countries and winning a total of 30 Emmy(TM) Awards to date. The Company’s deep portfolio of intellectual property is supported by a robust, worldwide consumer products practice, which includes licensing, and location-based entertainment venues around the world. The Company is also the majority owner of AwesomenessTV, a leading video destination for Generation Z and Millennial audiences, and also owns 45% of Oriental DreamWorks, a world-class animation studio in China that produces family entertainment for both Chinese and global audiences. What do you think? 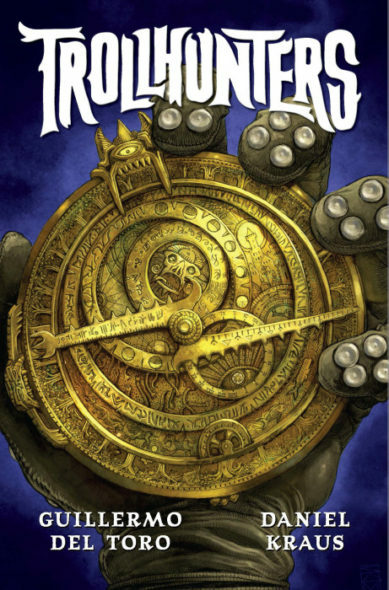 Are you a fan of the Trollhunters novel? How do you like the Trollhunters TV series cast so far? More about: Netflix TV shows: canceled or renewed?, Trollhunters, Trollhunters: canceled or renewed?